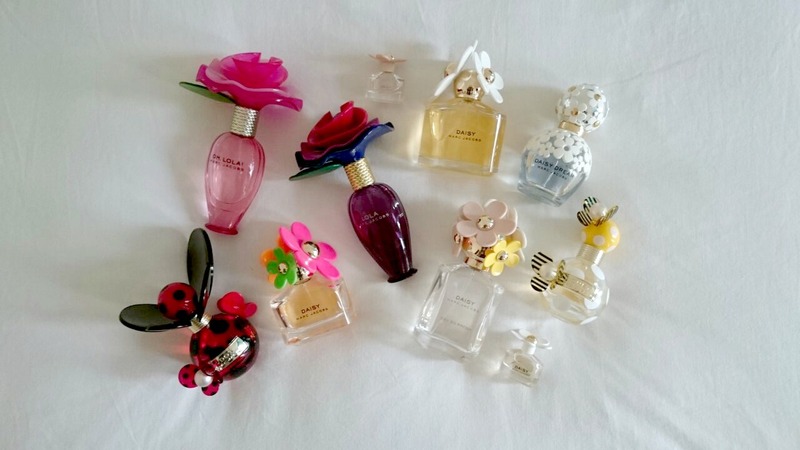 I've been pretty open about my addiction to Marc Jacobs perfumes, I share the pretty bottles on Instagram and drool longingly at the new collections so it was only fitting that I posted my MJ perfume collection on Annie Writes Beauty. The Marc Jacobs Sorbet collection launches today so before I buy the two latest releases I thought I'd show you my current collection. My love for Marc Jacobs started with Lola, a dark and flirty scent I've been wearing for five years, I'm on my third bottle now as I usually wear this through the Winter months. You can read my review of it here - Lola by Marc Jacobs. I also have Oh Lola! but it's not one of my favourites. I picked it up really cheap in the January sales a couple of years ago and had to add it to the collection! My second bottle was the original Daisy which then was swiftly followed by Daisy Eau So Fresh and a limited edition bottle of Daisy from the 2012 Sunshine collection. All the Daisy perfumes have notes of Wild Strawberry, Violet Leaves and Ruby Red Grapefruit among other notes to make them all different. 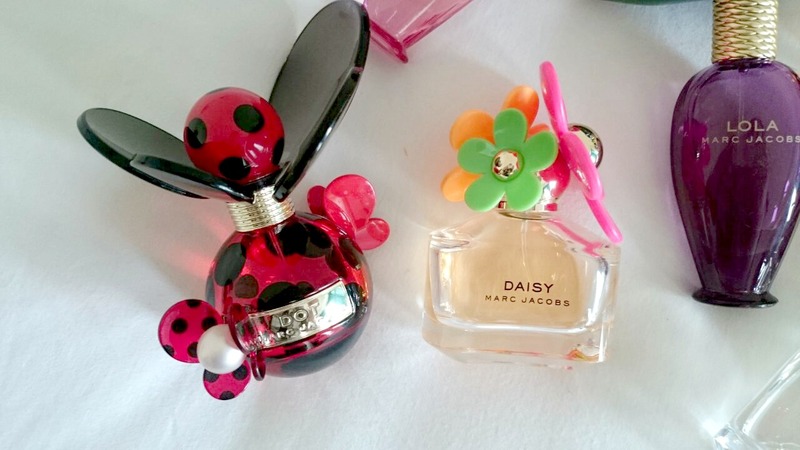 My last bottle from the Daisy line was Daisy Dream which was released last Summer. It's the most beautiful bottle and scent. I did a review of it back in September last year - Daisy Dream by Marc Jacobs. I can't wait to see what's added in the future. My last two bottles are Dot and Honey. Dot was based on Marc Jacob's love of Polka Dots and contains notes of Vanilla, Jasmine, Dragon Fruit, Coconut Water, Red Berries and Orange Blossom. Honey is happy go lucky scent which was my go to Summer scent last year and has notes of Pear, Mandarin, Honeysuckle, Vanilla, Peach and Apricot. As soon as I have the perfumes from this years Sorbet collection I'll be posting them on here so keep a look out. I'd love to know if there are any Marc Jacob perfumes that are your favourites too. They look so pretty all together like that! I love these bottles too, I can see why you're addicted. I need a shelf to display them all at home! WOW! I love Marc Jacobs everything but I have to say that next to their bags, perfumes are on top of my list. I've tried them all except Lola but you're making me want to try it! I'm like you I have an obsession for MJ perfumes. 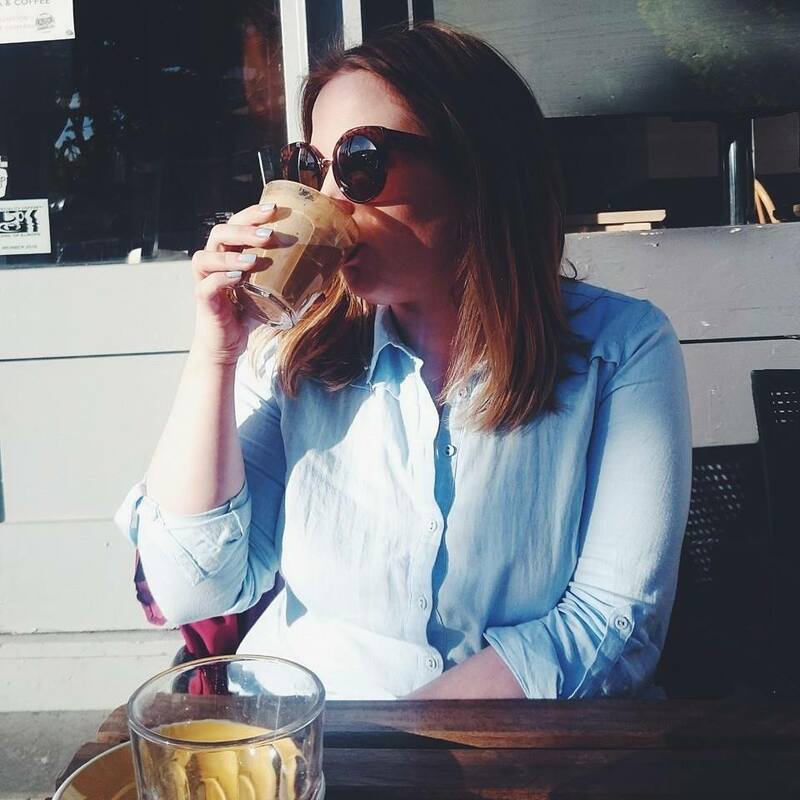 I started with Lola which I think I might have to repurchase, then I had Oh Lola, Dot which I've repurchases. The same Daisy Sunshine as you which might be my favourite one, and then Daisy Dream which I really love. 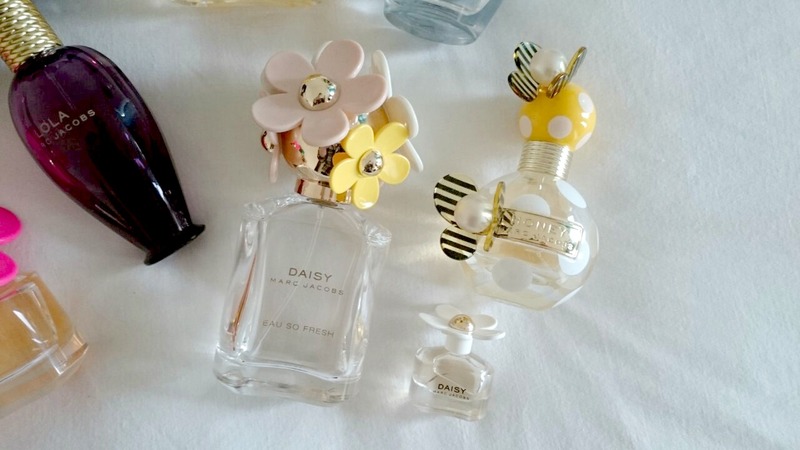 I wasn't a huge fan of Honey but all the Daisy perfumes I love, can't wait to smell the new ones! Might end up picking one up, I get sucked in when they're limited edition. I do! I feel like if they're limited edition I need to grab them before they go! The Sorbet collection is just too pretty! The original daisy is my go to Spring scent... It's just classically beautiful. Marc Jacobs definitely is the best perfume for ladies.